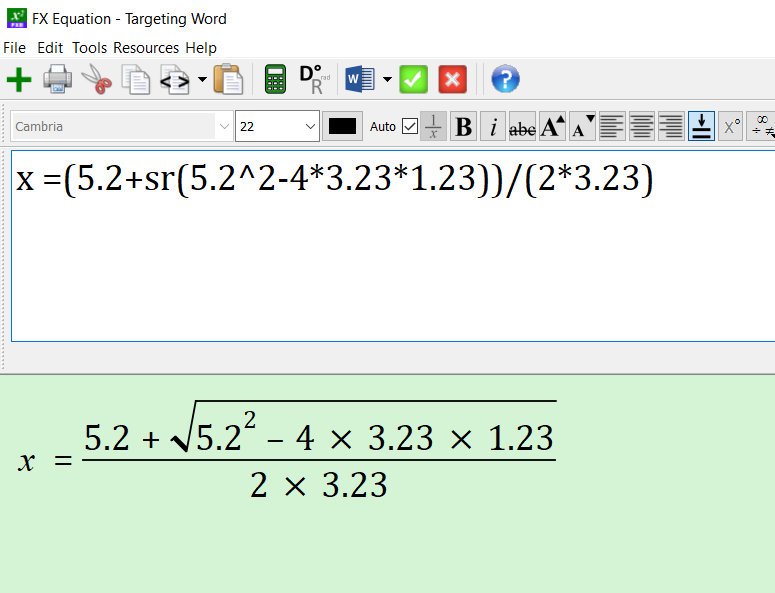 If you have ever found yourself reaching for a calculator as you type up equations, the FX Equation calculator tool is for you. It allows you to create worked solutions quickly and easily. which FX Equation will turn into a fully formatted equation for you. If you actually want to evaluate this, you would probably reach for a scientific calculator and retype everything – which is both boring and slow. In FX Equation, you can just select this string and push the calculator button. FX Equation will automatically evaluate your selection and you can paste the result directly into your next line. We have uploaded a video of the process. You can find the video here.